Mmm...Check out our Sunday dessert that I made. I made angel food cake for the first time. It was kind of fun trying something new and kind of intimidating like angel food cake. I used the recipe from the recipe book I got for Christmas, The New Best Recipes Cookbook. 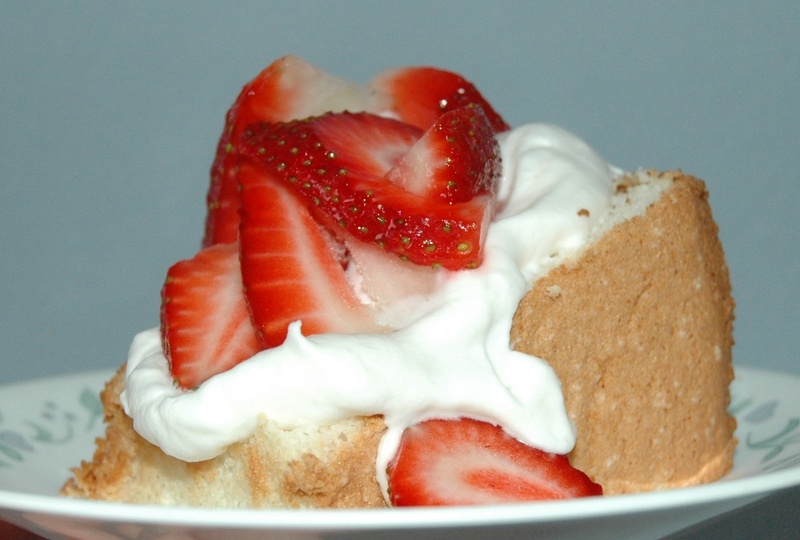 I loved reading about the different things they tried to make the best angel food cake. I thought it turned out pretty well. And my daughter told me she wants it for her birthday cake this year (which is fine with me because of my lack of cake decorating skills). That's what I'm making this week. How about you? If you've planned your menu, go ahead and post it in the comment section. I love reading what you're making. It gives me inspiration. :) Have a good week!